Let's say you've prepared your dresses and shoes for the big night. Well, now is the perfect time to prepare your handbag essentials for prom. 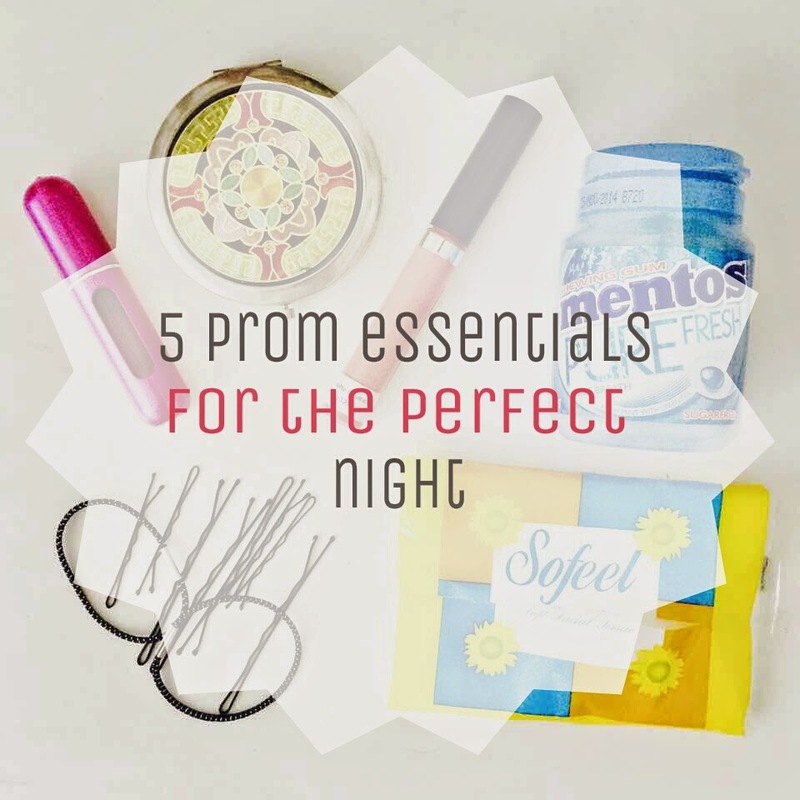 Here's a list of items you might want to keep in your handbag during your prom. Just in case your modest prom dresses went wrong or your hair comes undone, it is best to keep a stash of safety and bobby pins in your handbag. You're gonna need your makeup for touch ups. Be sure to keep a compact mirror together with your favorite lipgloss To keep you look fresh throughout the night. I'm using the new Natasha Beauty liquid lipstick in peach. Are you familiar with Travalo? Well, it's a little bottle which you can refill easily. It's very innovative and perfect for those who like to go out and travel a lot. Don't forget to bring one to freshen up and keep your lovely fragrance througout the night. You'll never know what's going to happen at prom. I always keep a pack of tissue with me everyday. Even if I'm just out for a while. You can also use this as a replacement for blotting sheets. Also works really well in removing oil on your face. Alright, that's all for today. How about you, what are your prom essentials? Let me know in the comments section. 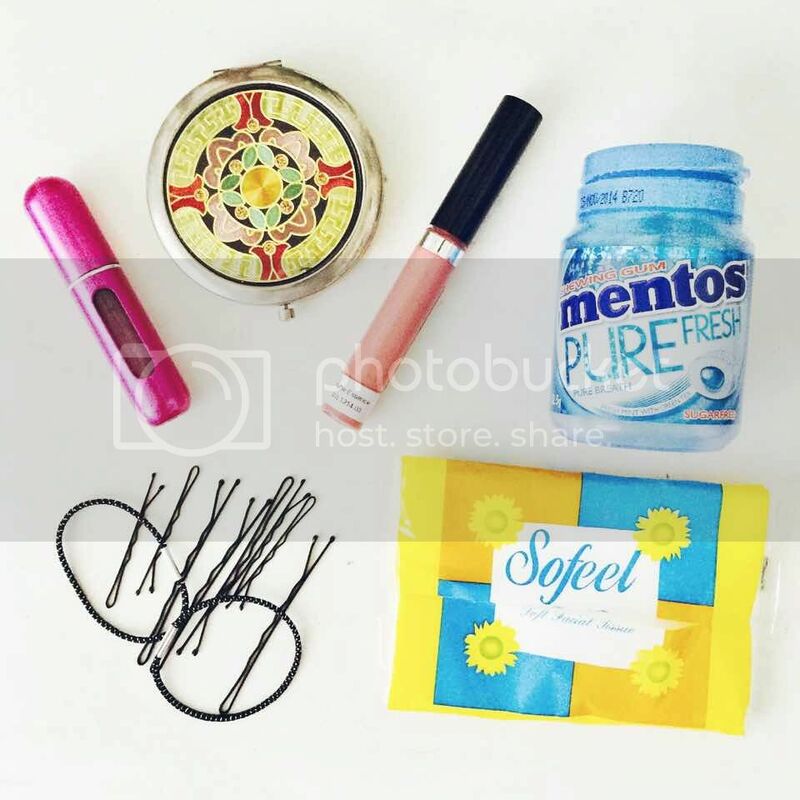 tissues, gum, lip gloss and powder.